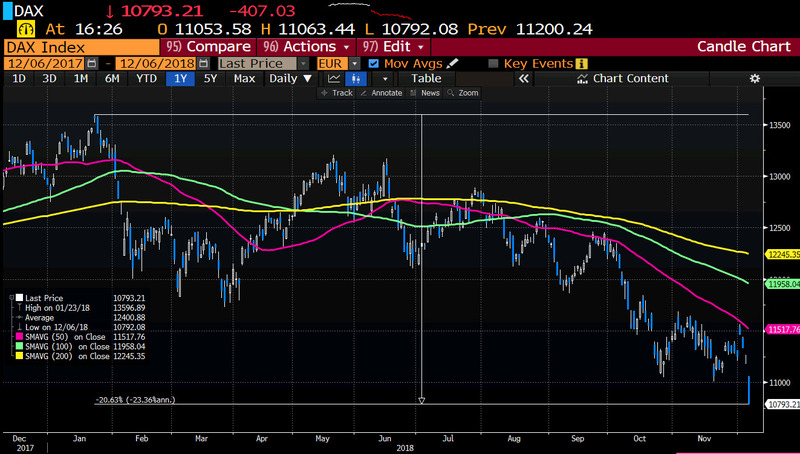 The German Dax is getting creamed as the day comes to a close and in doing so, is entering bear market territory. The index is down over 20% from the January high. Ouch. Year to date, the decline is a bit more modest at -16.50%. That is still not what you want in your investment portfolio.